Educational Qualification: Degree in any of the five streams of AYUSH from a recognized University/Statutory/ State Board/ Council/ Faculty of Indian Medicine or equivalent recognized under the relevant council with 5 years experience. Educational Qualification: Degree in concern streams of AYUSH from a recognized University/Statutory/ State Board/ Council/Faculty of Indian Medicine or equivalent recognized under the relevant council with three years experience. Educational Qualification: Graduate from a recognized University with diploma in Yoga from a recognized Institution by the Government. OR Graduate in Yoga Sciences from recognized University with Five years experience of teaching and training of yoga in a recognized Institution. The aspiring applicants satisfying the eligibility criteria in all respect can submit their application only through ON-LINE mode. The On-line registration of application is made available on AIIMS, Jodhpur official website i.e. http://www.aiimsjodhpur.edu.in. The link for submission of online applications in respect of above said posts along-with other relevant information will be activated on the date of advertisement in News Papers. The last date of online submission of applications will be Thirtieth Day (30th Day) from the date of publication of advertisement in News Papers i.e. on 07th September, 2016 at 05:00 PM. No Documents including online application form is required to be sent, however, all the applicants are advised to keep a copy of online application form with them, along with proof of payment (a Copy of challan /online payment receipt) for their record.The applicants applying in response to this advertisement should satisfy themselves regarding their eligibility for the post applied for. They must be fulfilling eligibility criteria as on the closing date of applications failing which their application will be rejected.In case a candidate wishes to apply for more than one post, he/she is required to fill in the form separately through On-line mode only.The On-line application will be closed on Thirtieth Day (30th Day) from the date of publication of advertisement in News Papers i.e. on 07th September, 2016 at 05:00 PM. 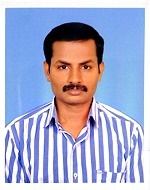 The candidature of such applicants who fails to complete the online application submission by the stipulated date and time will not be considered and no correspondence in this regard will be entertained.The Candidate must ensure that their photo and signature should be clearly visible in preview at the time of filling of application in online mode. If photo/signature image is displayed small or not visible in preview on website, that means photo/signature is not as per the AIIMS, Jodhpur prescribed and in that case, your application will be rejected. So, be careful while uploading your photo and signature. Both must be visible clearly on Online Application form. How to Apply: Interested candidates may apply Online through the website http://www.aiimsjodhpur.edu.in on or before 07.09.2016.